EA Cancel ANOTHER Star Wars Game - What Next? Is it time for Disney to give the license to someone else? Although it's probably fair to say that Disney's tenure with the Star Wars license has sparked a period of great resurgence for the galaxy far, far away, one area that has suffered has been the franchise's video game presence. Everyone pretty much adored LucasArts, but when Disney came aboard in 2013, the studio was dissolved and the license was handed to Electronic Arts, who have overseen the release of two Triple-A Star Wars titles, both of which were based on the Battlefront IP. 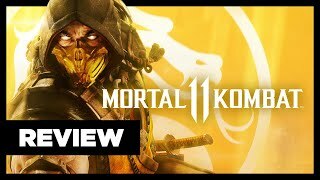 Neither release was critically revered, with the former coming into criticism for its sparse lack of content and the latter more so for its progression system and focus on microtransactions. 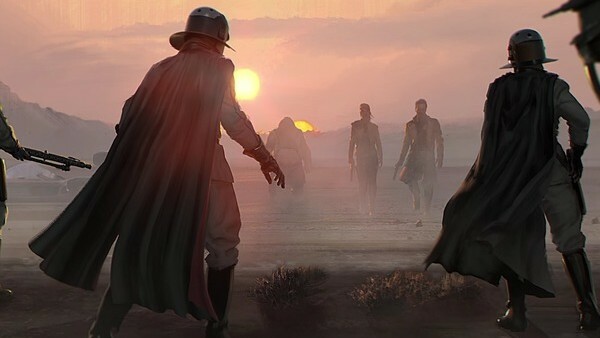 In the meantime, the most anticipated of EA's Star Wars titles, Visceral Games' single-player Project Ragtag, was cancelled. With relatively little known of Respawn's Jedi Knight game, which is still apparently set to release in 2019, fans have been left in the dark as to what really is happening with EA's Star Wars projects. Until now. In the wake of Project Ragtag's cancellation, EA announced that their Vancouver studio would be heading up a new open-world project to fill the void left behind by Visceral's collapse, dubbed Project Orca. According to Kotaku's Jason Schreier, the game would have reused certain assets developed by Visceral during their time spent on Ragtag, and Motive - previously headed up by Assassin's Creed alum Jade Raymond - was involved too. Now, however, the project has reportedly been binned, with EA having apparently decided "that they needed something earlier than the planned release date for Orca". Schreier's report also mentions that another, smaller Star Wars title is scheduled for a late 2020 release, which also happens to be the time he's heard "next-gen consoles will launch". As for Orca itself, it would have apparently revolved around a "scoundrel or bounty hunter", and would've enabled players to explore "various open-world planets", and even collaborate "with different factions across the Star Wars universe." More fortunate to note however is that EA did not apparently lay anyone off with the project's cancellation. But there is the obvious Bantha-sized-elephant in the room that needs to be addressed too - how have EA only managed to produce two Star Wars projects with the resources at their disposal? It must be so frustrating for those who are working on these projects, because there are obviously some genuinely great ideas about Star Wars games floating around in these studios. Unfortunately for everyone else, these ideas aren't the ones making it to market, and with dozens of other publishers no doubt chomping at the bit for a slice of Star Wars action, might it be possible there are better alternatives out there? There were rumours a while back that Disney were dissatisfied with EA's output, with Ubisoft and Activision both potential candidates to pick up where EA left off, but they were just that - rumours. For now, Star Wars fans are just going to have to stay patient, and besides, if any studio can break EA's recent Star Wars hoodoo, surely it'll be Respawn?